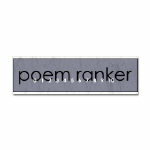 poemranker. pretty neat idea, eh? i thought so too. that's why i created it. and judging by the amount of use it sees, a lot of other people think so too. the ranker is not a pay-for-use website. it's free. because that's the kind of guy i am. and it always will be. and it'll stay on the web as long as i don't have to chose between pixels and pizza--that is, as long as i can afford the admin costs for it. they're not really all that bad, but the population is growing. and the ensuing time lag has already forced a few "improvements". and they ain't fo' free, if you take my meaning. 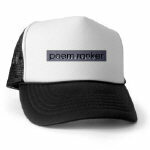 so, if you kinda sorta maybe want to help upgrade the server, pay for the bandwidth, etc., and otherwise preserve poemranker for posterity, please feel free to drop some shekels in the tip jar. or drachmas. or rubles, rupees, rand. hell, i'll even take dollars! seriously, though, your support would be appreciated. 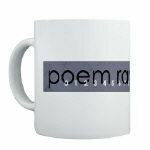 with it i can make poemranker better stronger faster. i can rebuild it. i have the technology. now all i need is the cashflow. thanks.